Sophisticated design mingles with exotic elegance in the perfect measure. 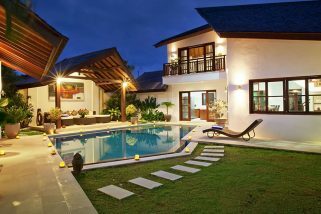 Outside the dazzling waters of the T shaped swimming pool dominates the confines of the elegant tropical garden. Part of this is under the terracing provided by the living area creating the best possible cooling off spot during the heat of the day. 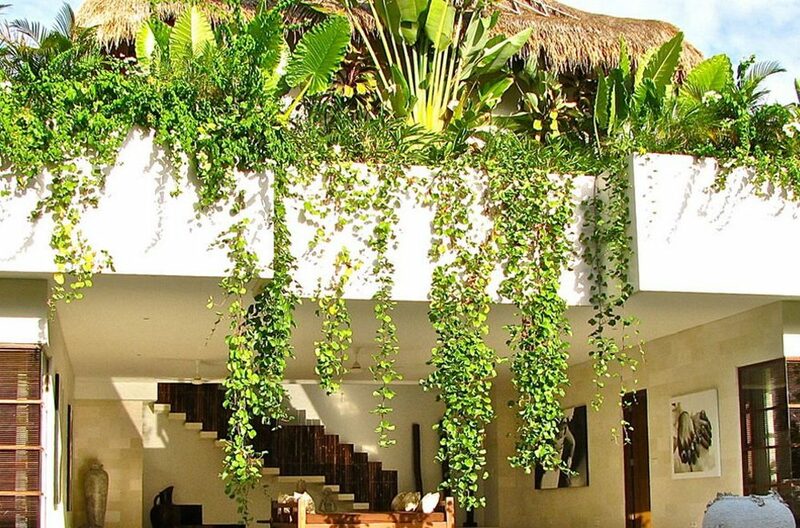 Exotic greenery trails over the edges of the building and a magnificent day bed with scatter cushions heads up this enchanting spot. The kitchen and dining room is also open to the elements along one side offering lovely garden views. This area features a fully fitted American kitchen with all the appliances, crockery and cutlery you might need to cater for your stay and a stylish 8 seater dining table. 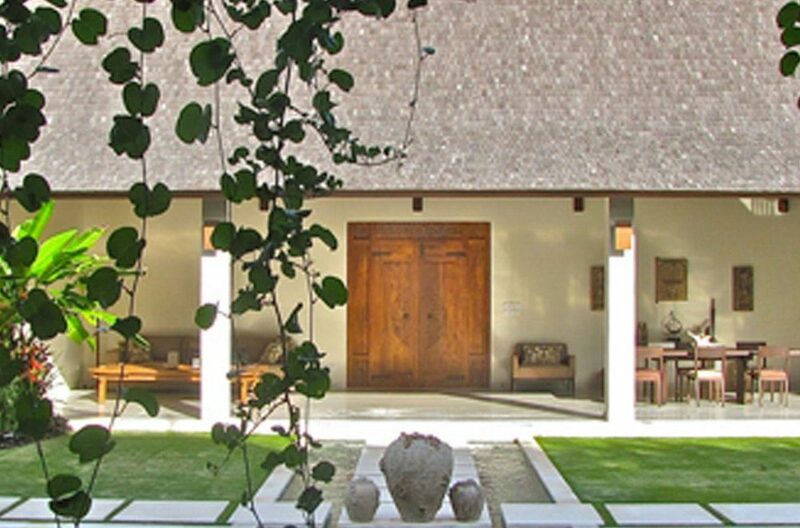 Natural stone, dark wood, white walls and a domed Joglo style ceiling gift this area a calm sophistication. All 4 bedrooms are all spacious and offer air conditioning and patio windows which face out onto either a balcony or outside terracing creating luxurious spaces to pass your island nights in. 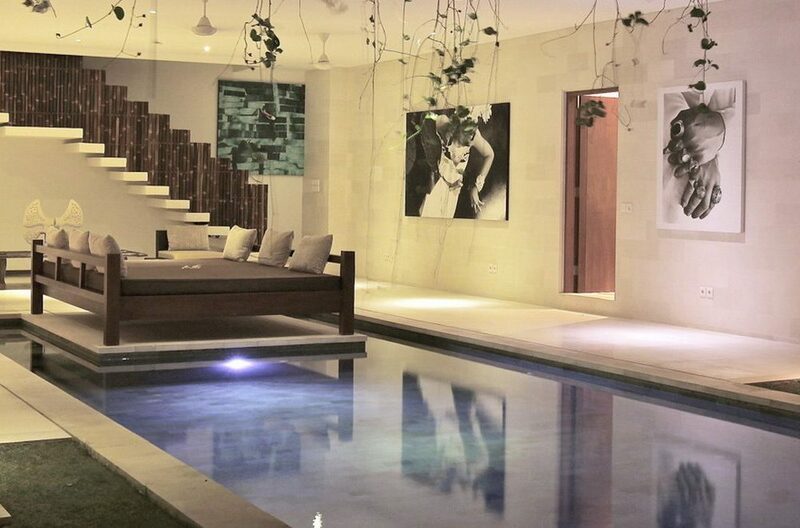 They all have large dressing areas and lavish ensuites with outside features. 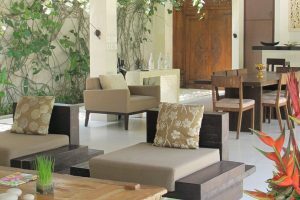 Your every need is catered to by the highly trained team here and the carefully considered facilities supplied by the villa. 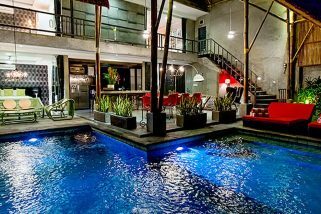 Every property has Wi-Fi, an I-Pod dock, Satellite TV and DVD player and for your further pleasure and entertainment a DVD library and a PS2 with 20 games are also provided. Plus a mobile phone with a local sim card is given to all guests for the duration of their stay to make on-island communication easy. Every day a choice of American or Asian breakfast is served by your own private butler. 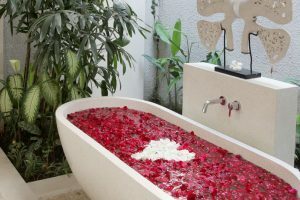 Daily housekeeping is also provided and a number of supplementary services are available from private chefs to babysitters. 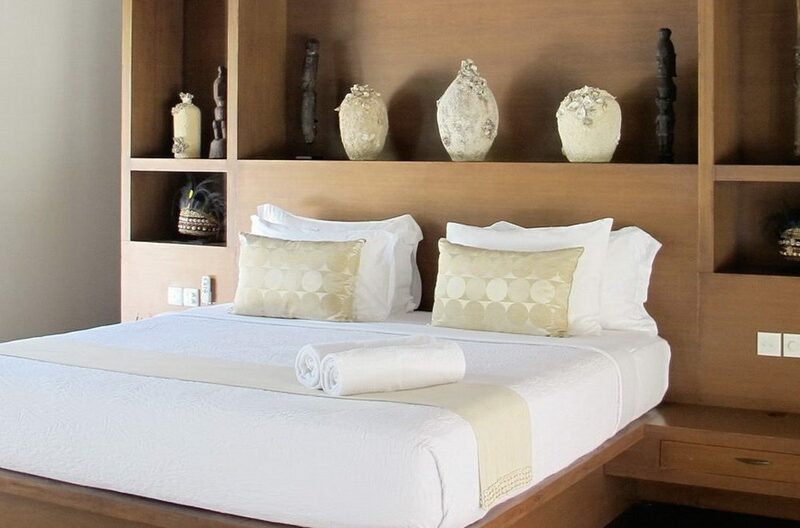 This small, personalised settlement of villas truly delivers guests the best of Bali in a tranquil, classy environment. 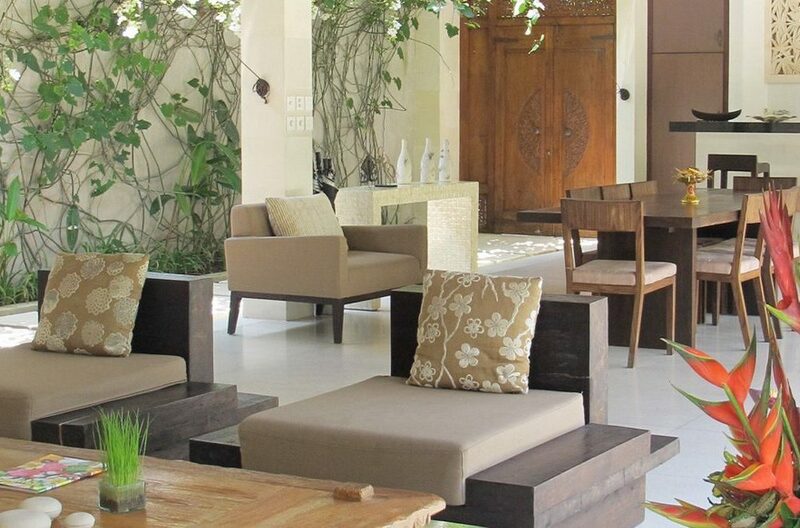 Villa Origami is a luxurious 3 bedroom villa strategically located between fashionable Seminyak and bustling Legian. Origami Villa is a completely private villa, designed in a elegant and modern way using Asian elements to create an exotic style of living.